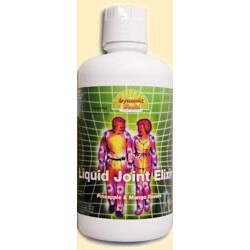 Great supplement for joints, ligaments, bones and sinovial fluid. 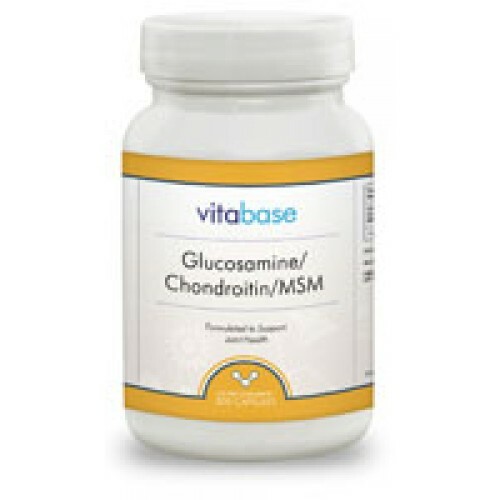 Glucosamine, Chondroitin and MSM Capsules - High Potency, Low Price! This unique product blends three of the most highly reputed Joint Support products in one convenient product! This high potency formulation contains a whopping 1200 mg Chondroitin, 1500 mg Glucosamine and 2000 mg MSM per serving. Compare this to competing products typically containing about 500 mg of each ingredient. One of the biggest problems with joint supplements in capsule form is their large size making them difficult to swallow. Our formulation delivers the joint compound in an easy-to-swallow capsule form that breaks down very quickly in the digestive system. Another important factor for our customers is price. One bottle with all three supplements provides a 40-day supply and typically costs less than buying one bottle of just glucosamine in another brand. It is like getting the chondroitin and MSM at no extra charge. No other product can compare on ingredient quality and price. The Glucosamine, Chondroitin and MSM Combination Simply Works. Glucosamine is a substance found naturally in the joints that stimulates the formation and repair of cartilage that has degenerated over time. Glucosamine has been the subject of many different clinical studies the past 20 years and has been proven effective at reducing joint pain. In one Portuguese study involving people with osteoarthritis, 95% of participants experienced at least some benefit when taking 1500 mg of glucosamine per day. Another recent study seems to indicate that glucosamine slows the deterioration of cartilage and relieves pain. Glucosamine is also considered safe with no adverse side effects. Chondroitin, found naturally in the body, works to protect the cartilage by blocking enzymes that seek to break down cartilage and by absorbing excess fluid in the connecting tissue. It also assists in cartilage repair. Many studies have been conducted on chondroitin supplements indicating that they may be effective at reducing swelling and stiffness in the joints and may also provide relief from the symptoms of osteoarthritis. MSM is included in the formulation because of its ability to reduce pain. MSM is a biologically available (organic) form of sulfur. Sulfur is one of the major components of food and one of the most prevalent materials in the body. While this supplement is taken for many purposes including allergies and skin, one of its most common uses is for joint and muscle pain. In studies, it has been shown to have anti-inflammatory properties. Since some MSM is found in the food we eat, there are no side effects or major health concerns. Chondroitin Sulfate 1200mg, Glucosamine Sulfate 1500mg, MSM (methylsulfonylmethane) 2000mg, Gelatin, cellulose, magnesium stearate and silicon dioxide. As a dietary supplement, take (5) capsules daily. 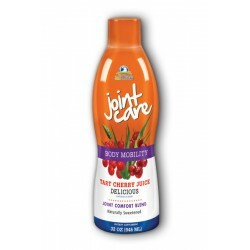 Liquid Life Joint Care (32fl oz) NEW FORMULA - Naturally Sweet with Tart Cherry Concentrate!